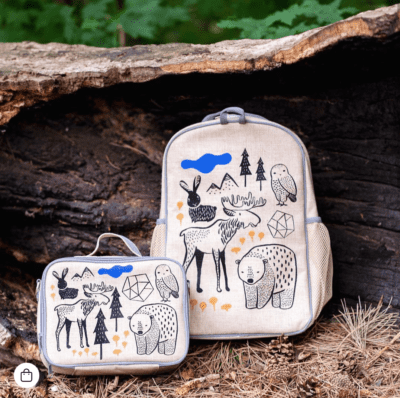 We are huge fans of Catherine Choi’s eco-friendly company SoYoung, which sells an impressive collection of well-designed, useful, everyday items: extremely chic and purpose-built diaper bags, beautifully illustrated children’s knapsacks, cool lunch boxes (lunch pouches for adults), and more. 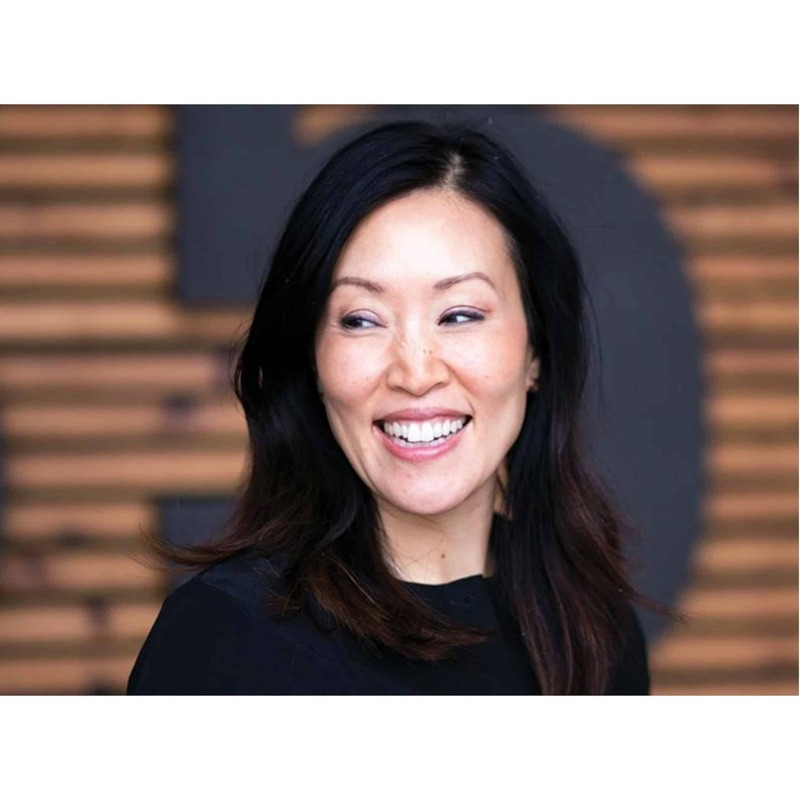 SoYoung’s stylish design is noteworthy, both aesthetically and in terms of practical use, but we also really admire how Catherine has been so outspoken about her recovery journey from heroin (an addiction she was able to break over twenty years ago), and how this part of her life has played a role in shaping her, both as an entrepreneur and as a mother. Not only has Catherine built a well-respected Canadian brand with sustainability top of mind, but by bravely sharing her personal recovery story, she’s breaking stigma about addiction every step of the way. We asked Catherine a little bit about how SoYoung initially started, lessons she’s learned along the way, and her top sellers for holiday gift giving. SDTC: What was the job you had before you started your SoYoung? CY: I spent ten years in banking and financial software and was extremely unhappy, but I had no idea what to do about it. So I enrolled in a year-long Zen Shiatsu course taught by a Buddhist who taught shiatsu as a means of going within. We meditated, did yoga, chanted and did lots of bodywork, and it was a transformative year for me. I finally found the courage to quit my job without knowing what the next step was. What is the birth story of SoYoung? How did it begin? I was on mat leave with my first child, Noah. My head was always swimming with ideas of what kind of business I could start. There was a frustrating scenario that I repeatedly found myself in, where I was holding my squirming baby while digging through my cavernous bag, looking for my keys. As soon as I [was finished using them], I’d throw them back in my bag, forgetting about them until the next time I was in the same situation. 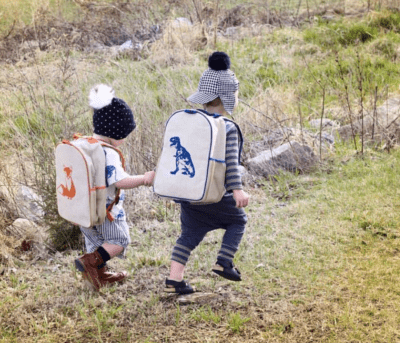 One day I bought myself a diaper bag that allowed me to organize my stuff better, but I was telling my husband that if I were to design a diaper bag, it would have this feature and that feature. Suddenly I had a light bulb moment, where I knew I was going to design a diaper bag. I didn’t know how I was going to do it, just that I was going to do it. I was absolutely determined. That I don’t let my feelings of inadequacy and fear determine my actions. That despite all of the challenges, risks and setbacks, I still wake up inspired and determined to take this business to the next level. That I’ve been able to support my family and also provide employment for my amazing team. That through sharing my story of addiction and recovery, I may help others find strength to believe in themselves. What are your hot sellers for the holidays? 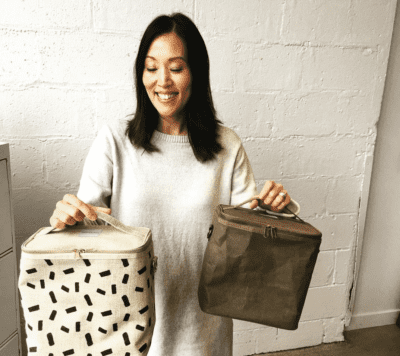 We are totally excited about our new adult lunch bag collection made of washable paper and raw linen that was designed for the fashion-, foodie-, and wellness-minded woman. Most women we surveyed never bothered to own a lunch bag, as the choices are less than inspiring (a Lululemon shopping bag seems to be a popular choice). But we’re on a mission to change that. We want women to love their lunch bag so much that they get excited about packing a healthy lunch. And the super exciting news is that Anthropologie agreed with us and has brought in our lunch pouches to their top seventy-five stores! Becoming a mother was one of the most challenging times of my life. While of course I loved my babies fiercely, I found it difficult to be at home in the same routine every day and needed to create an inspiring image in my mind of my own personal identity beyond being a mother. Motherhood was the driving force in starting SoYoung, one that was far beyond the products that I created. It was, and continues to be, an exercise in pushing past my own doubts and fears and realizing I am so much more capable than I ever thought. My deepest hope is to be an example of this for my children. To build yourself a tribe of trusted friends, colleagues and advisors who you can lean on for support and advice, while always remembering that no matter what expertise someone else may have, you always know what the right answer is for you. It’s a matter of going within. Skating with the kids followed by hot chocolate is a family favourite. Find someone you love the perfect lunch bag, knapsack, or any other well-designed SoYoung offering that will add beauty to routine.